The European stage debut of West Side Story took place at Manchester Opera House in 1958. Now the musical is back in the city but at a different venue - the Royal Exchange. When West Side Story was a glint in its creators eyes, Leonard Bernstein was writing lyrics for his music and Stephen Sondheim only wanted in, if he could write both the words and music. It's a blessing for us and impresarios everywhere that they ended up splitting out the responsibilities. 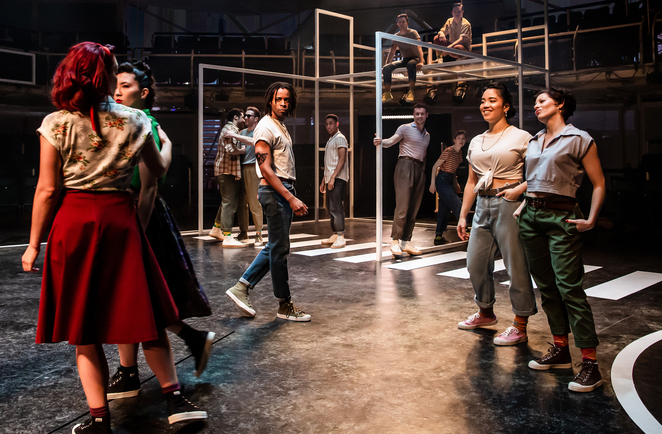 Bernstein, Sondheim, choreographer Jerome Robbins and Arthur Laurents (who wrote the book) took Shakespeare's Romeo and Juliet story and re-imagined it in contemporary New York. Shakespeare, in his turn, had borrowed the story from The Tragicall Historye of Romeus and Juliet (1562), a long narrative poem by the English poet Arthur Brooke, who had based his poem on a French translation of a tale by the Italian Matteo Bandello. The Montagues and Capulets became the Jets and the Sharks with the star-crossed lovers breaching the divide. 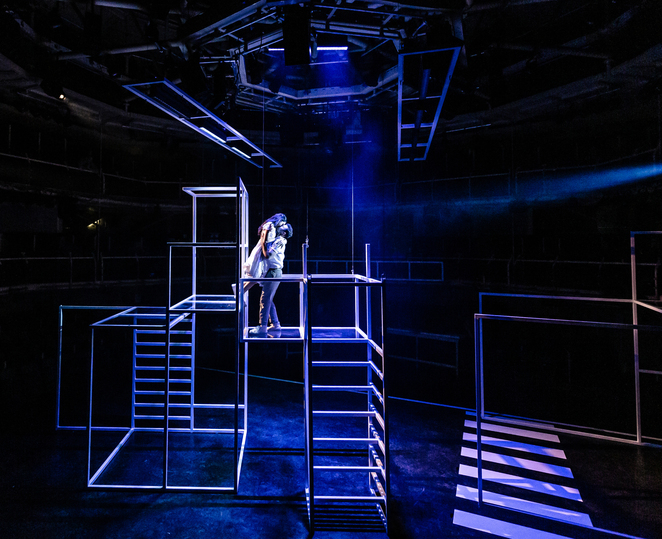 As Tony - the lovestruck Romeo - Andy Coxon has a rich, assured delivery of classics like Maria and Something's Coming. Gabriela García as Maria shines in the second half where her petticoat-innocence darkens into raw anger and grief. It's a wonder that they have enough breath left for singing. 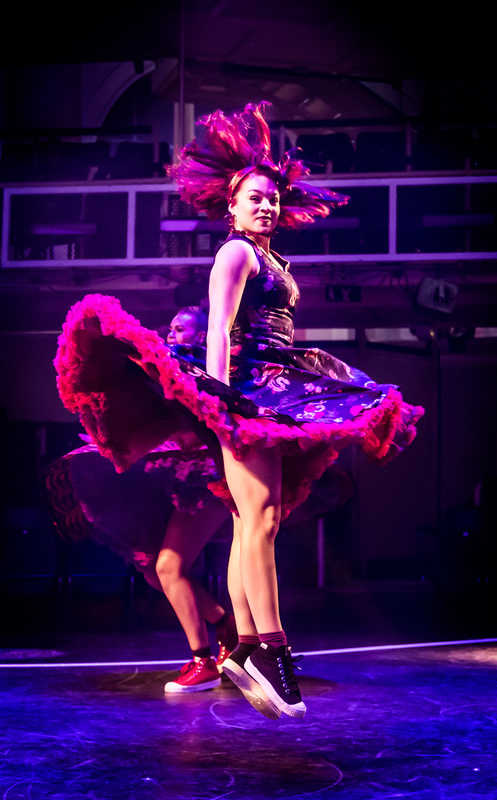 The production - directed by Sarah Frankcom, with new choreography by Aletta Collins - has the cast climbing, jumping and dancing around the stage as if it were a gymnastic mat. 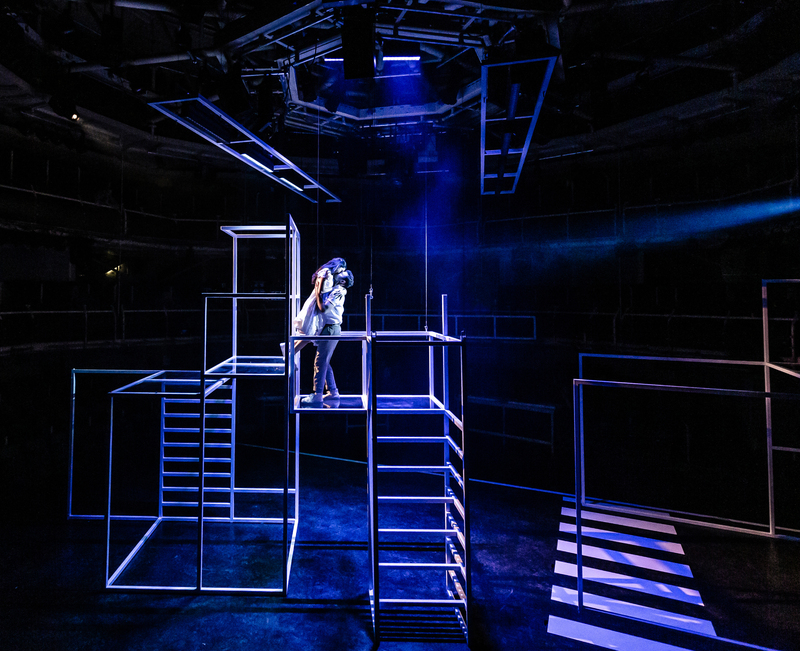 The theatre-in-the-round setting puts us in touching distance of the production's relentless energy. At times the climbing frames - which represent fire escapes, shops and homes - seemed slightly wobbly, which did add another notch to the dramatic tension. As Anita, Jocasta Almgill had Beyonce-like sass, especially in America (a highlight for me). 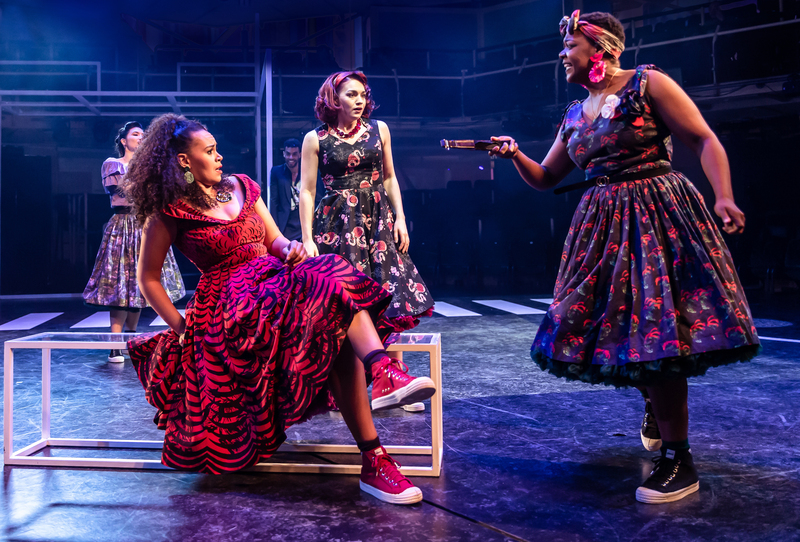 The interplay of choreographed dancing and the theme of gang warfare and fatal stabbings always threatens to become an unsustainable marriage. But the sheer energy and quality of the lyrics and music stop the juxtaposition from ever grating too much. The combination of Latin tones for the Sharks (the Puerto Ricans) and the jazz of the Jets (of Polish heritage) was a musical goldmine from which Bernstein extracted priceless jewels. Sondheim's rhymes are sublime (It's alarming how charming I feel." If there's a current to turn on! ", et al). Occasionally, the lines seem almost quaint: "Every Puerto Rican's a lousy chicken"
Others seem, from this distance, too shocking to have ever made it onto the 1950s Broadway stage: "My parents treat me rough/ With all their marijuana/ They won't give me a puff." 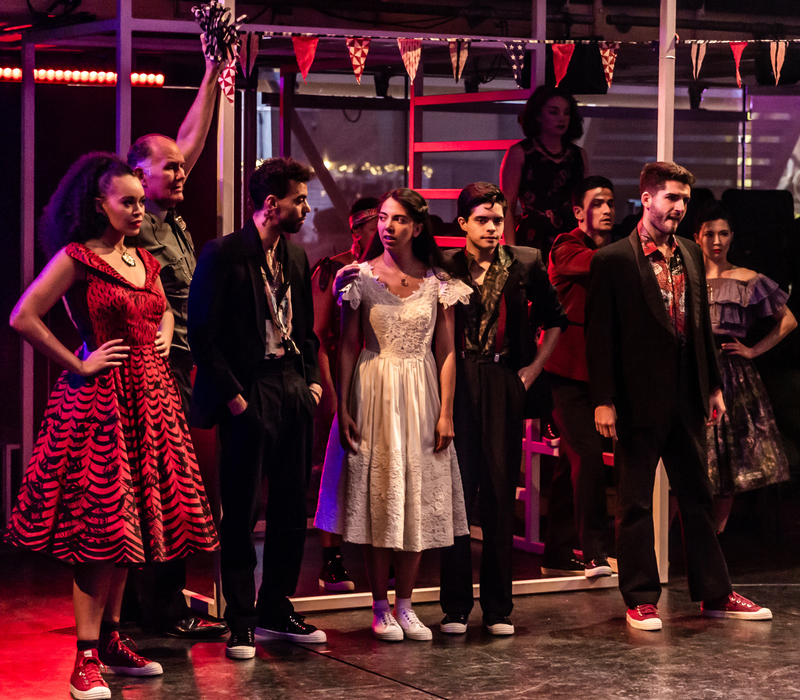 Why stage this 60-year-old musical now, apart from the joy of hearing the songs again? The gang fights with razors have an unsettling relevance to the 'knife-crime epidemic' of 2019. Then again, will West Side Story's tale of teenage love and violence ever be irrelevant? 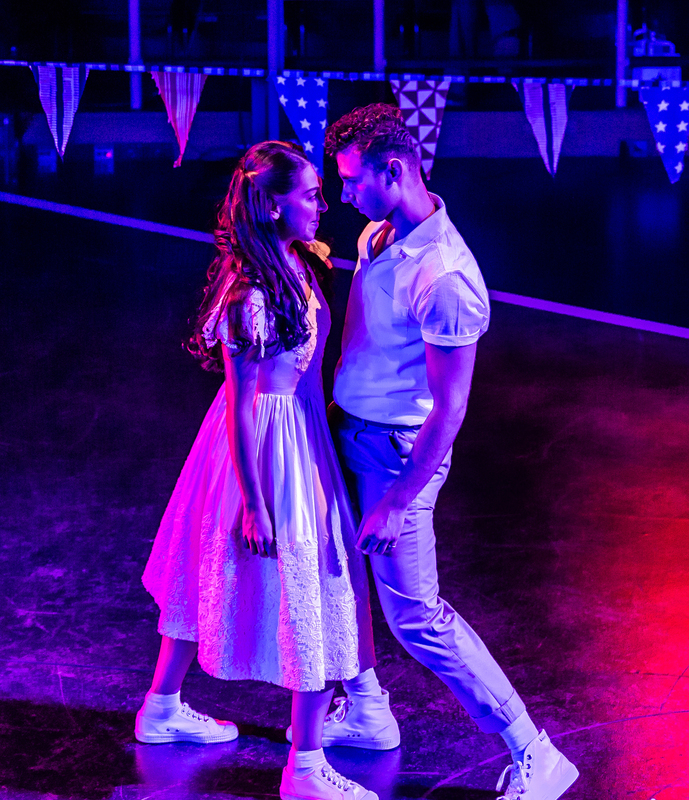 If you fancy seeing another dance version of the story of star-crossed lovers, the Lowry in Salford Quays, is staging a version of Prokofiev's Romeo & Juliet ballet, choreographed by Matthew Bourne.